to be one of those gifts that keeps giving and has been handed down for a few generations in my family. 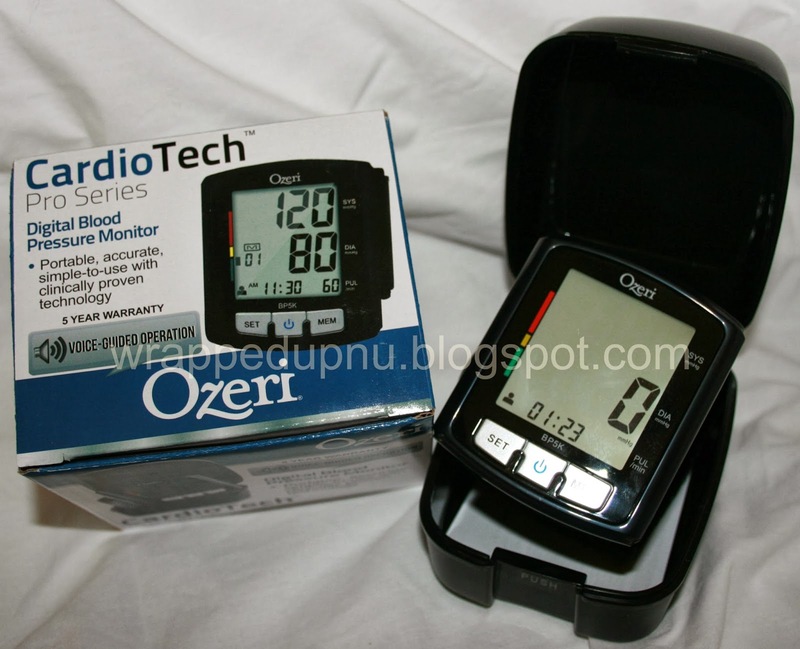 I have used other other home blood pressure monitors over the years, they all did their job but not like Ozeri CardioTechTM Pro Series Digital Blood Pressure Monitor with Voice-Guided Operation. I love the fact that it "talks to me', it takes the guess work out of it. No guessing is my arm in the right position because it tells me. I am very impressed with this meter and how goof proof it is. The cuff also alerts you in words if your blood pressure is high, average or low. The large display is very easy to read-the display shows systolic,diastolic and pulse rate. It also stores your reading so you can compare of 2 separate users 80 times or 90 per user. The monitor comes with batteries and a storage case also. CardioTech products offer clinically proven technology and are used by physicians and hospitals around the world. Compact, portable and simple-to-use, the Ozeri CardioTech BP5K Blood Pressure Monitor is an advanced wrist cuff monitor with a new intelligent voice-guided feature that alerts you to the proper positioning of your wrist for accurate blood pressure measurements. The audible voice also automatically provides a hypertension assessment after each measurement. With ample memory, the Ozeri CardioTech Blood Pressure Monitor stores up to 180 blood pressure readings with date and time memory recall (90 readings x 2 users), and automatically classifies each blood pressure reading according to World Health Organization hypertension guidelines. It calculates average blood pressure readings based on all readings in memory, AM versus PM readings, or the 3 most recent readings. The Ozeri CardioTech Blood Pressure Monitor also detects irregular heartbeat (Arrhythmia) for an improved understanding of your heart’s health. 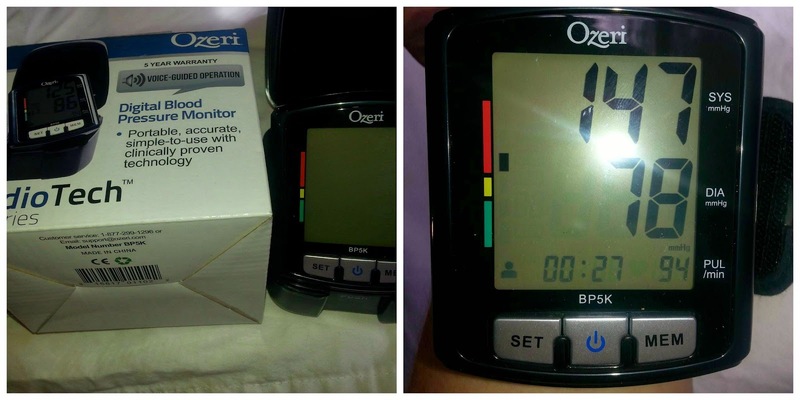 Backed by a 5 year warranty, the Ozeri CardioTech Blood Pressure Monitor ships with 2 AAA batteries included, a carrying case and user manual.